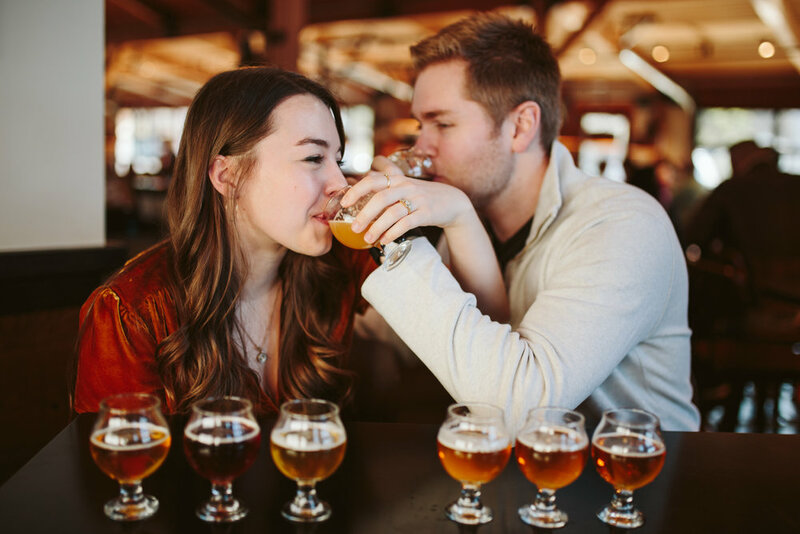 When Tori asked me if we could schedule their engagement session in Portland, Oregon, I was absolutely thrilled. 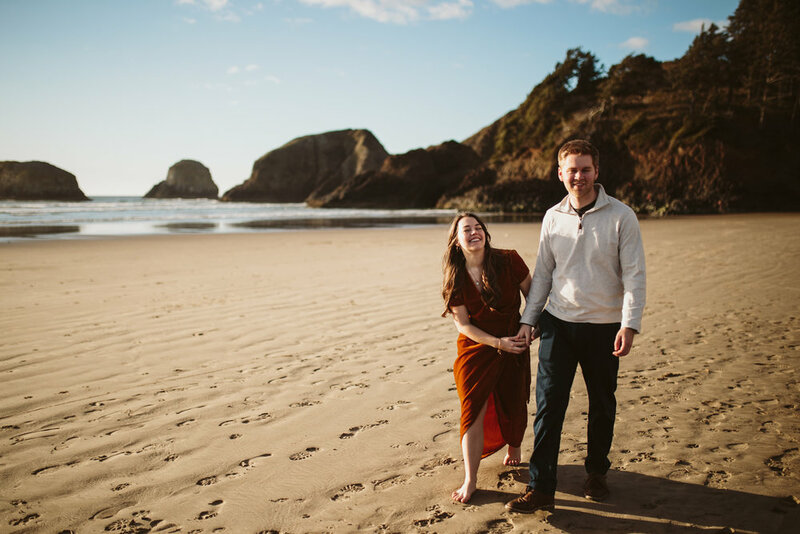 Tennessee is a lovely place to be a wedding photographer, but we have neither oceans nor mountains here in Nashville, and my wandering photographer heart has always wanted to shoot an engagement in the Pacific Northwest. Let me tell you, it did not disappoint. 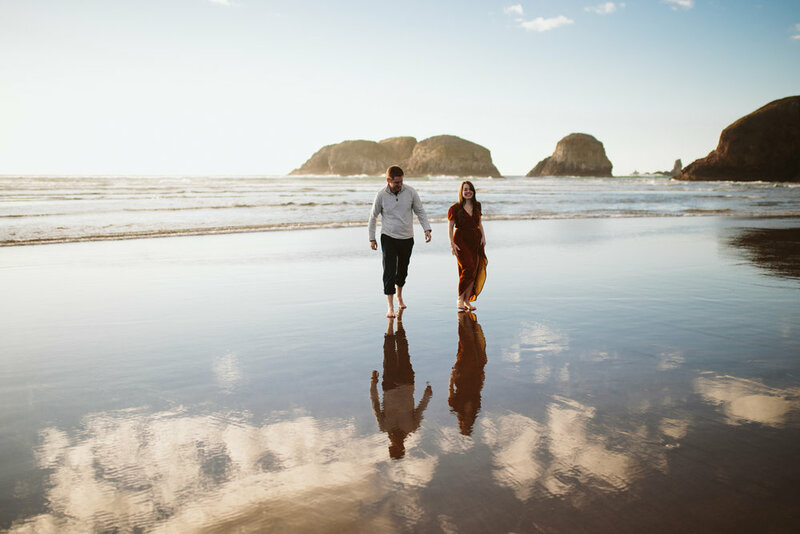 Look through these stunning images from day one of Tori and Grayson’s beautiful Oregon engagement session, and read about it below! 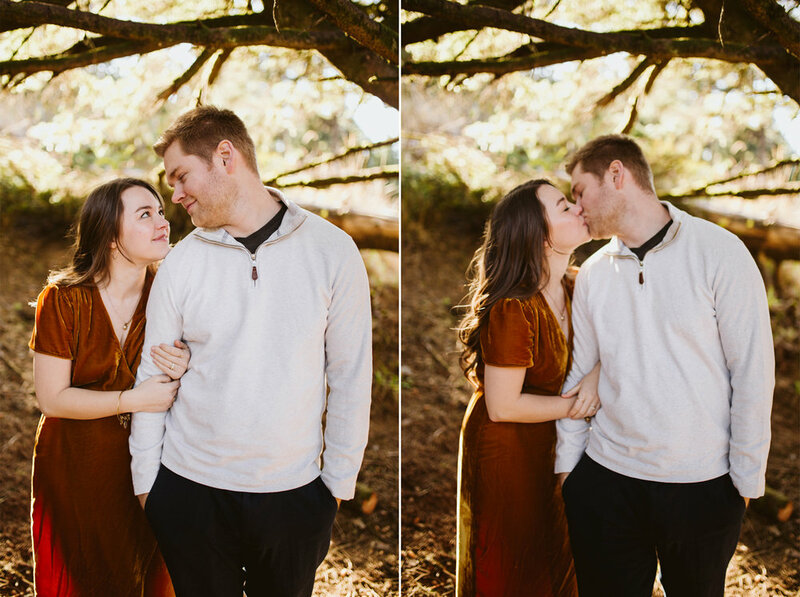 Tori and Grayson met at the University of Tennessee in Knoxville, and just as their friends suspected, started dating and are currently planning their Knoxville wedding! 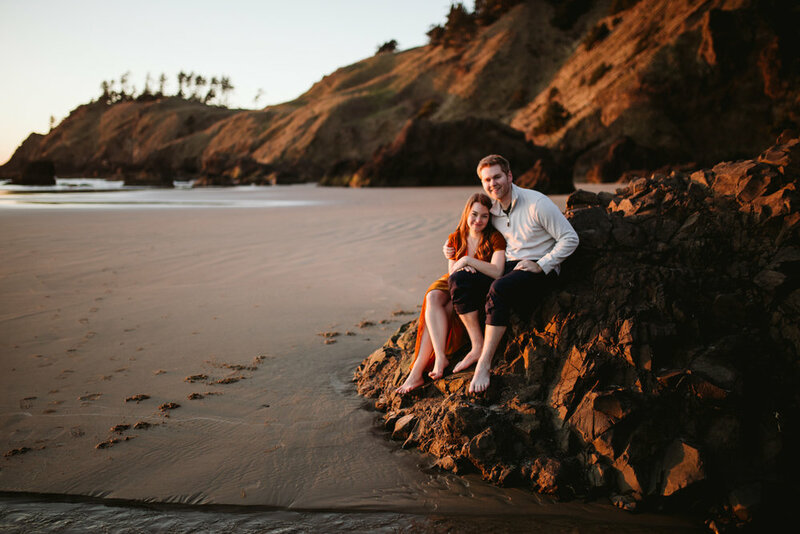 Tori lives in Portland and Grayson in San Francisco, so Tori wanted to have her engagement session in the Pacific Northwest. So of COURSE I was all in. 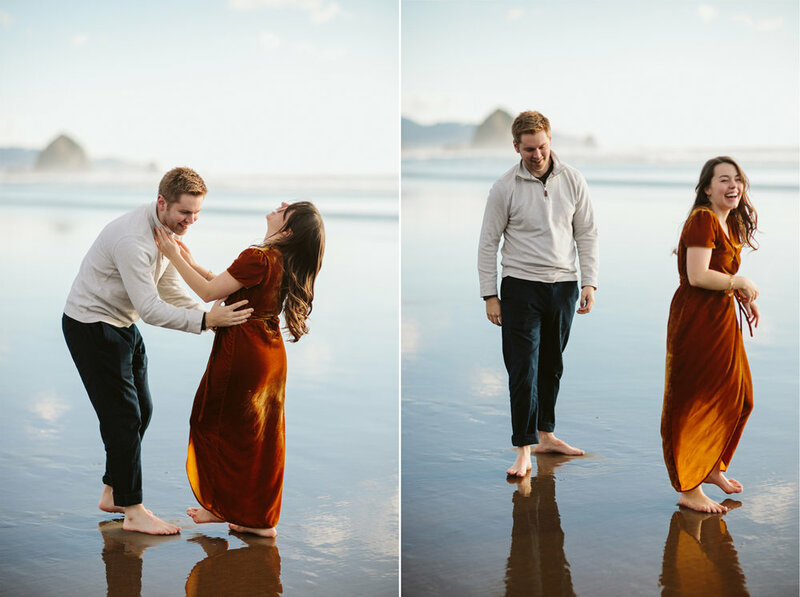 The first day of our little Oregon engagement session, we went to Cannon Beach, where the sun was shining and a cool breeze was making waves in the Pacific. Tori and Grayson have adopted a tradition of getting beer flights every time Grayson comes to visit Portland, so our first stop was Pelican Brewing, a lovely little brewery and restaurant in town. We then hiked through Ecola State Park for some cliff-side photos, and Tori deserves an award for the amount that she walked in those nice boots. Truly, we were scurrying up some pretty steep sand dunes and hillsides trying to find the best views. In between the overlooks of Ecola State Park and Haystack Rock, we could see a quiet little area with a waterfall onto the sand, called Crescent Beach. It may have taken us a while to find it, but we finally located a trail head and hiked down to the sand for sunset. Wow. 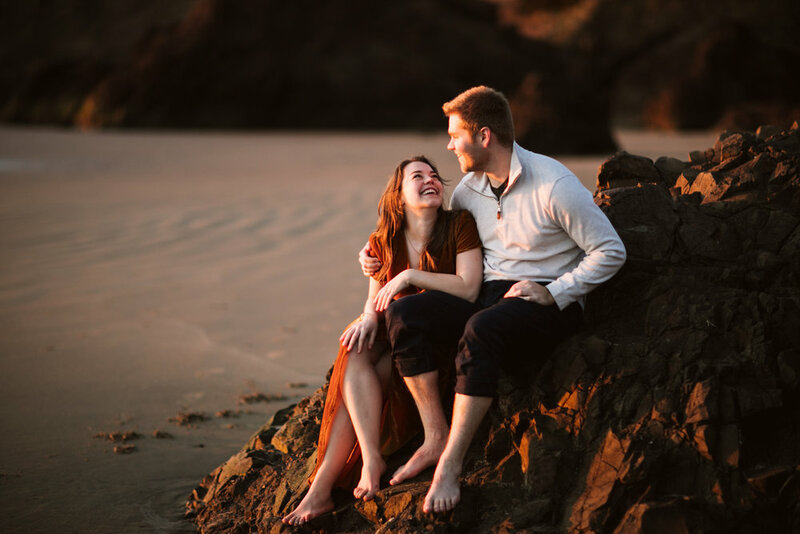 I photographed a coastal sunset engagement while in Portugal in November, and I was just as giddy and excited this time around. Tori's beautiful flowing dress (borrowed from friends, because ladies, it takes a village sometimes) reflected that sunset glow so well. 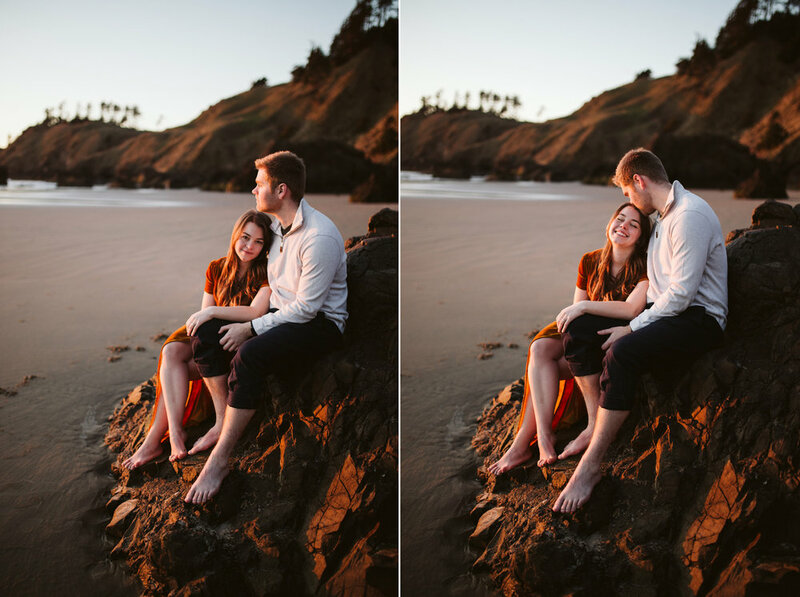 So friends, if you're thinking about journeying west (or across the ocean east, I suppose) for some sunny sunset portraits on the coast, DO IT. Wear a flowy dress, get it wet in the sea water, take off your shoes and dance, guys throw your fiancee over your shoulder, run into the sunset. 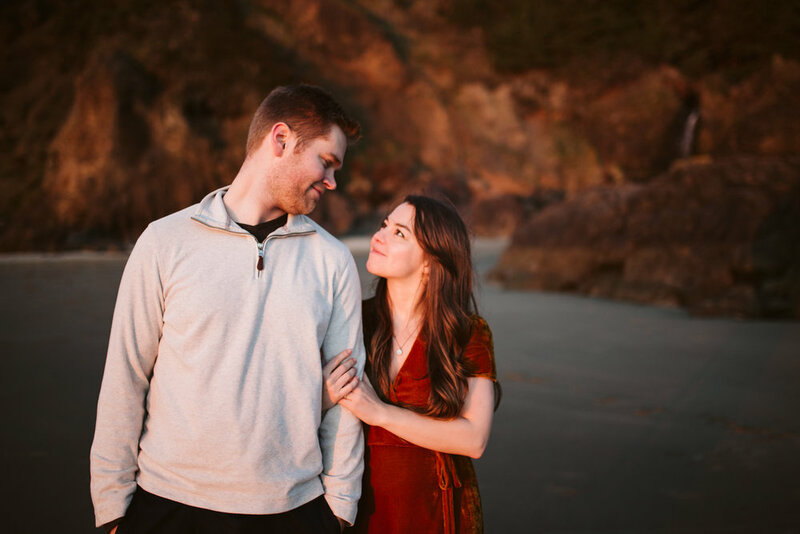 Cannon Beach was not the end of Tori and Grayson's engagement weekend. Check out the next day's snowy, mountain session at Mt. Hood! And when you're done, their Nashville proposal! Want to plan an adventure of your own? Come say hey!